You might be asking, "What the heck are these???" 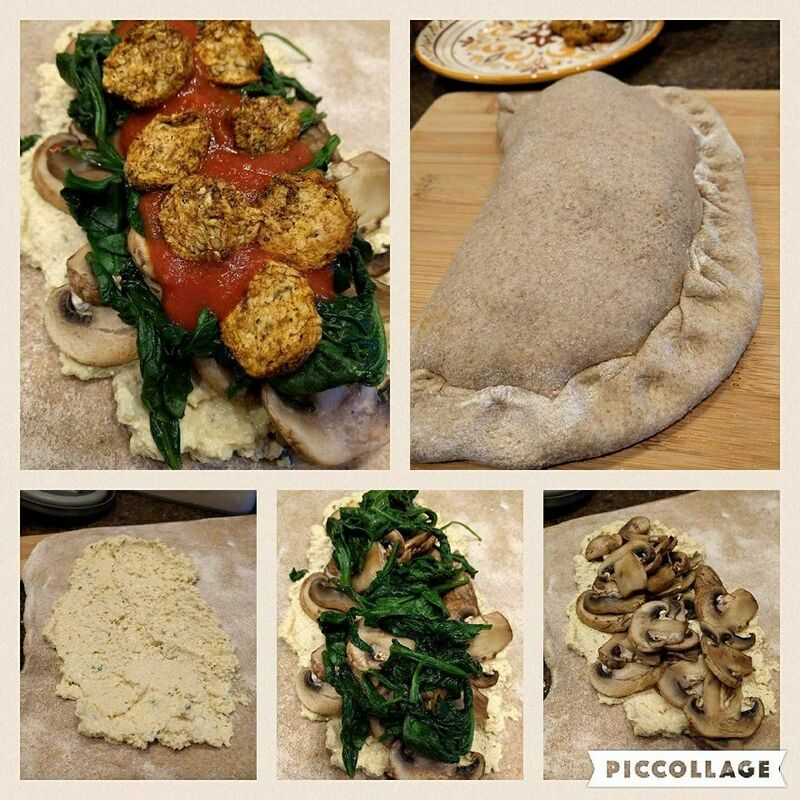 Well tonight, we planned to make spinach mushroom calzones for dinner. My hubby likes Tofurky pepperoni in his; however, Whole Foods did not have any. So, I decided to do some research on how to make your own pepperoni spice and marinate circles of eggplant in the spice, dry them out in a low oven, and see if they made a good replacement. OH MY GOSH, Guys! These wonder circles taste JUST LIKE PEPPERONI!!! In a spice grinder/coffee grinder or mortar/pestle, add all of the spices (through salt in the ingredients). Pulse a few times so the fennel seeds and mustard seeds get cracked into small bits. Pour spice mixture into a small bowl. Add the liquid smoke and water to stir to create a marinade. Pour the marinade in a glass pie plate. Cut the eggplant into ½-inch slices. With the cookie cutter, cut out circles (avoiding the peel around the edges). NOTE: If you don't have a cookie cutter, you can hand cut these or cut them into strips. Place the circles into the marinade in a single layer. 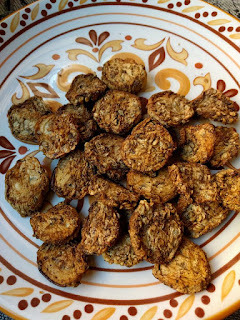 Let the eggplant pieces soak up the marinade for about 30 minutes, then flip the eggplant circles over and let them marinate another 15 minutes. Discard marinade. Place on a parchment paper-lined baking pan. Bake at 225 degrees until almost dried out. This can take anywhere from 1-2 hours.